As chronicled in the first six episodes of ABC’s The Muppets, running a television series can be harmful to romantic relationships, healthy eating habits, and senses of right, wrong, and when to enlist Josh Groban in your post-breakup manipulation tactics. 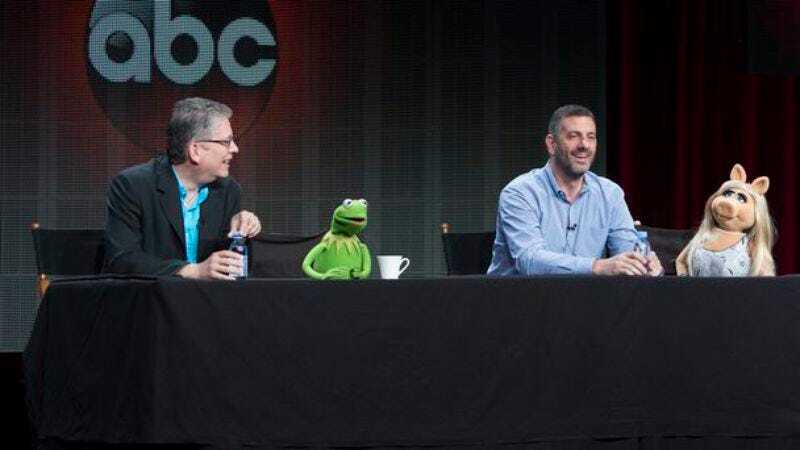 And while Kermit The Frog continues to work a job that puts him at constant risk of being karate chopped and/or verbally harassed by Laurence Fishburne, Bob Kushell has decided that he’s had quite enough of being a showrunner—on The Muppets, at least. Meep meep meep meep meep meep meep. Meep meep meep meep meep meep meep meep meep. Meep meep meep meep—meep meep meep. Meep meep? Meep!